The good news is that it works with almost any kind of printer from a regular inkjet or laser to a thermal receipt printer. 2. Install the "om_401" file, then open the software and log into it with your normal eHungry Username and Password and select the appropriate printer location, as described below. 3. To select a printer: go to the Edit menu at the top, click Preferences and just run through those settings (e.g., pick what printer you want the orders to go to). 4. 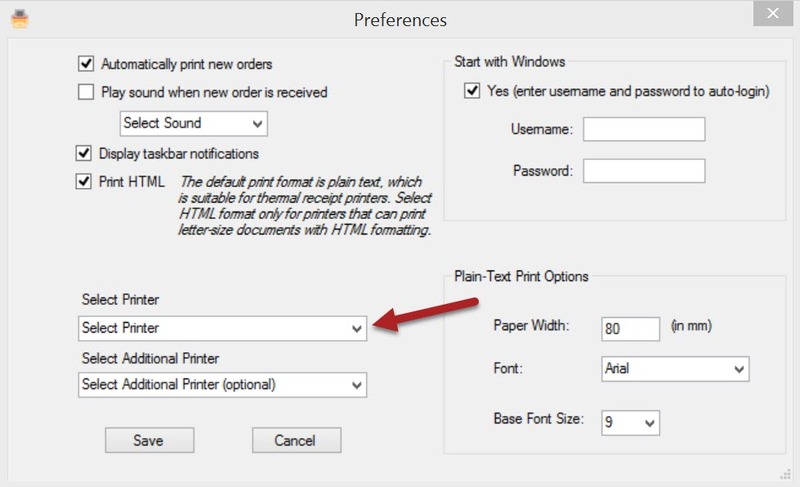 If you are using a Thermal Kitchen printer or receipt printer, please be sure to UNCHECK the box that says Print HTML and look at the settings on the right side of the preferences. 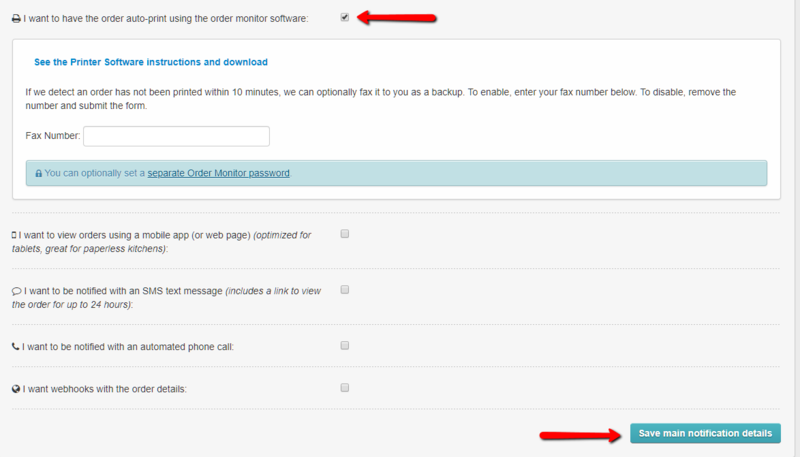 Scroll down to the link that says "I want to have the order auto-print using the order monitor software" & make sure to choose this box and save to complete the setup process. 6. Then keep the software open and running on your computer and anytime a new order comes in, it'll automatically print out to your printer(s). Option 2: We integrate with Google Cloud Print. You will want to start at the link below & then proceed to a list of the printers that they work with directly. Google Cloud Print does not work with Thermal Receipt Printers, so if you are wanting a "small ticket" then you won't be able to go with them. 1. 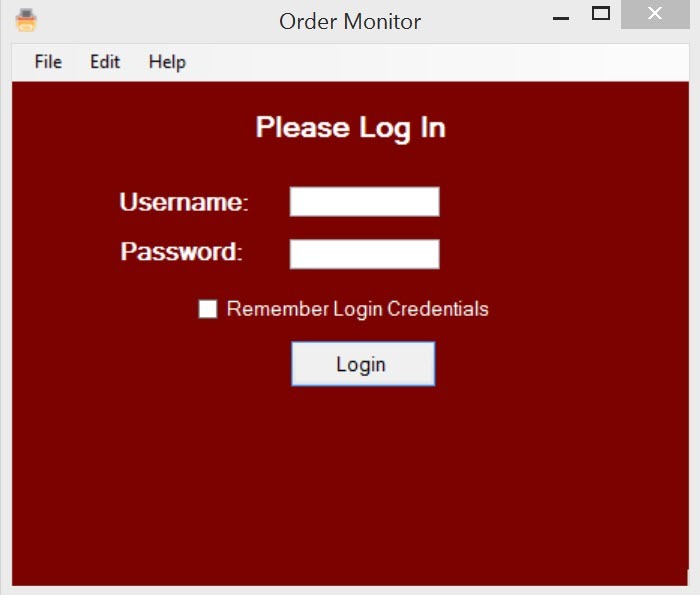 Login to the eHungry Online Manager. 5. Click Order Notifications, scroll to about the middle of the page, and click the box "I want to have the order auto-print using Google Cloud Print:"
6. Then click the Setup/Manage link and complete the steps. Make sure you have followed all the steps, and then at the bottom, click the Connect to Google button. 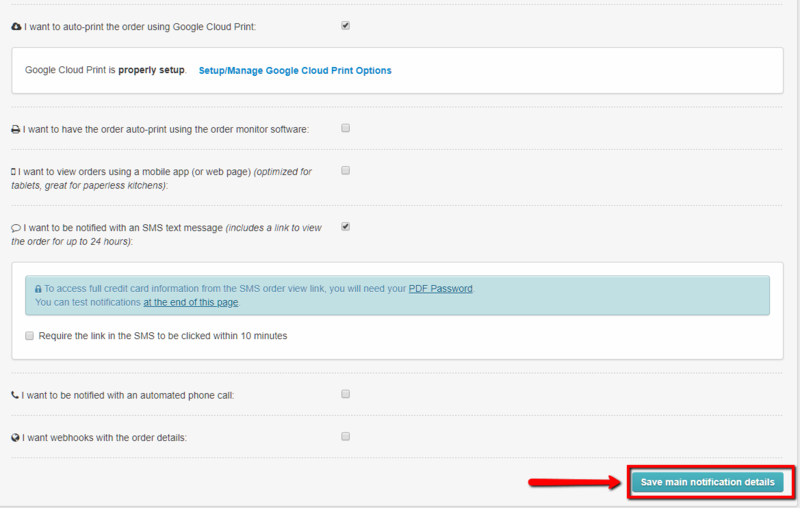 After connecting to Google, don't forget to click the Save main notifications details button and place a test order to make sure the printer prints out the test order.